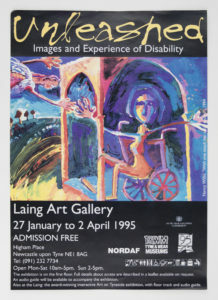 She has been exhibiting at mainstream and Disability Arts events since the mid-1970’s, and her work explores the universal themes of love, loss and human vulnerability. 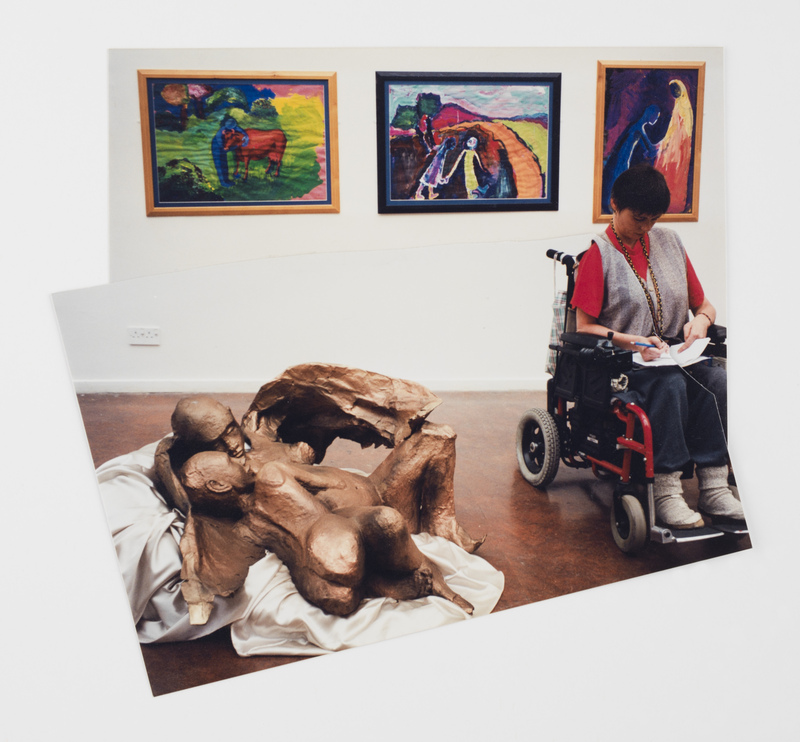 Disability arts has provided a supportive community and environment in which to explore and express her world view from the vantage of someone who is disabled. 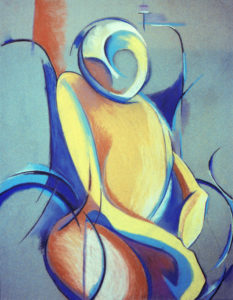 Nancy’s art creates a space in which complex emotions can be explored without fear of judgment or shame, and she has generously contributed ten of her key works to NDACA. 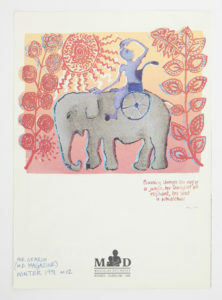 Nancy has Muscular Dystrophy and was educated at a residential ‘special’ school. 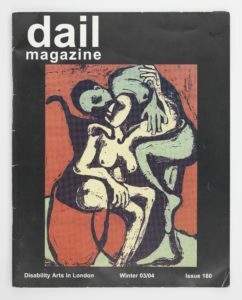 She was encouraged to attend Art College after finishing school, having grown weary of the endless rules and structure, and embraced the creative freedoms that working as an artist permitted. Nancy has shown her work in a number of galleries and exhibitions including: the Whitechapel Open, Diorama Art Gallery, London, Laing Art Gallery, Newcastle and BBC Television Centre. She was Artist in Residence at Hammersmith Hospital and Byam Shaw School of Art. She has won a number of prestigious awards including the Arts Council Innovate Award (2003), and her film “Elegy for the Elswick Envoy”, commissioned by Channel 4, has won best documentary at film festivals in the USA, Australia, and Africa. 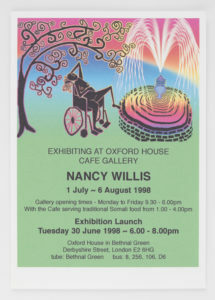 Nancy’s has spoken at Disability Arts events, and in 1988 organised the Disabled Women Artists’ conference at the Women Artists’ Slide Library in London. 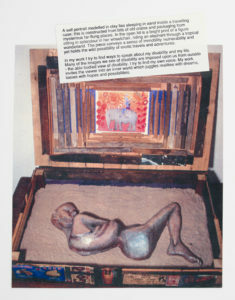 More recently, she contributed to the anthology “Shelf Life”, an artist book published by the Northern Disability Arts Forum.